Effective teenagers success Programs are designed specifically for Young People and teens. Develops multiple Cognitie, Behavioural & Practical skills for School, College, Family, Friends, Hobbies & Career. Helps them understand how to be proactive in their life regarding choice, accountability and focusing on planning for both Enjoyment & Success in all aspects of their lives. Uses the ”5 Steps to Success” Coaching Methodology. Introduces them to proven teen success coaching techinques that help them to become more focused and responsible. Develop ability to Cope better with being a teenager. Adapt a different mind-set to what’s going on around them; thoughts, actions and responses with others including self. Improve multiple skills by developing plans for each aspect of their lives including academic, family, friends and hobbies. Maintain focus, performance, motivation and attention to what’s in their control and new habits. Career & Life Planning is a Coaching & Training company with Offices in Ireland and the USA. Our Exper panel members can also be found in different locations of Ireland like Galway, Limerick, etc and USA like Boston, New York, etc. Accredited Centre for City & Guilds and Institute of Leadership & Management. Developed unique Coaching Methodology called “5 Steps to Success”. Applies to ALL divisions & is integrated to all Coaching & Training Programs. Methodology has been included in Coaching Programs for Institute of Leadership & Management and Institute of Employability Professionals. Has different divisions specialising on different markets. CALP Success for Teens: Character Development and Leadership Skills for Teenagers including Transition Year Students for Teen Success. CALP Success: Management Development Program focusing on managing Teams, Personal Effectiveness, Performance Management, Interpersonal & Communication Skills & Leadership. CALP Activate: Specialist Division working with Organisations that support the Employability & Activation sector providing of specialist support to get unemployed closer to Work-Life Balance lifestyle. CALP Coach: Executive Coaching Programs, Career Coaching, Relationship Coaching, Youth Coaching, and Life Coaching using our unique Coaching Methodology. 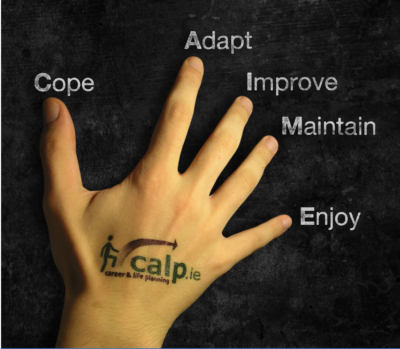 CALP Training: Accredited training programs from City & Guilds and The Institute of Leadership & Management.